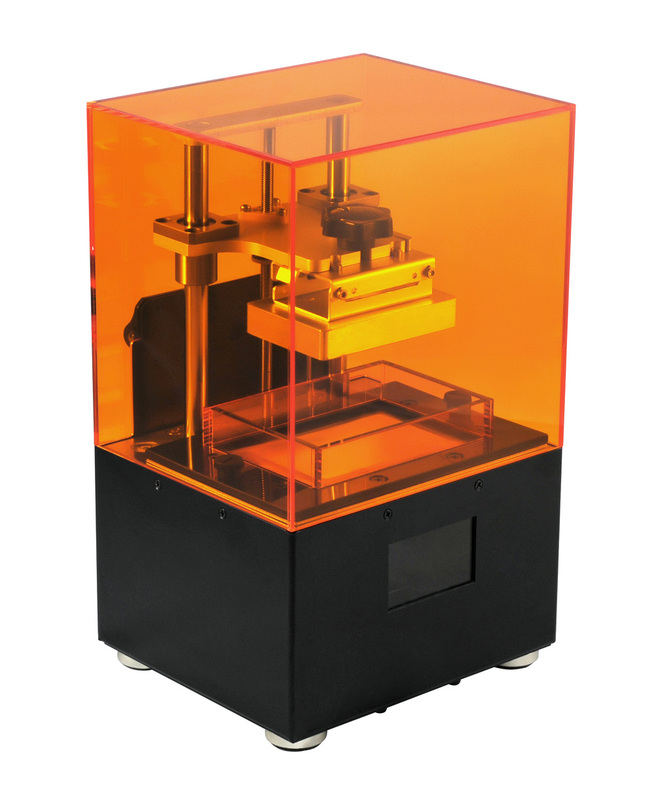 Introducing the SOLUS DLP 3D Printer! Solus is a DLP projector-based stereo-lithography printer that offers a combination of quality and reliability at an unparalleled price. Using our patent-pending TUF peeling mechanism we have eliminated the need for replacing or re-coating resin tanks with PDMS, while at the same time providing a low-stick surface for smooth peeling. This smooth and gentle peeling allows the user to print objects with a professional-level surface quality and incredibly fine details, surpassing the majority of printers available on the market today. With an anodized aluminum case and stainless steel components, it not only looks good, it’s built to last. 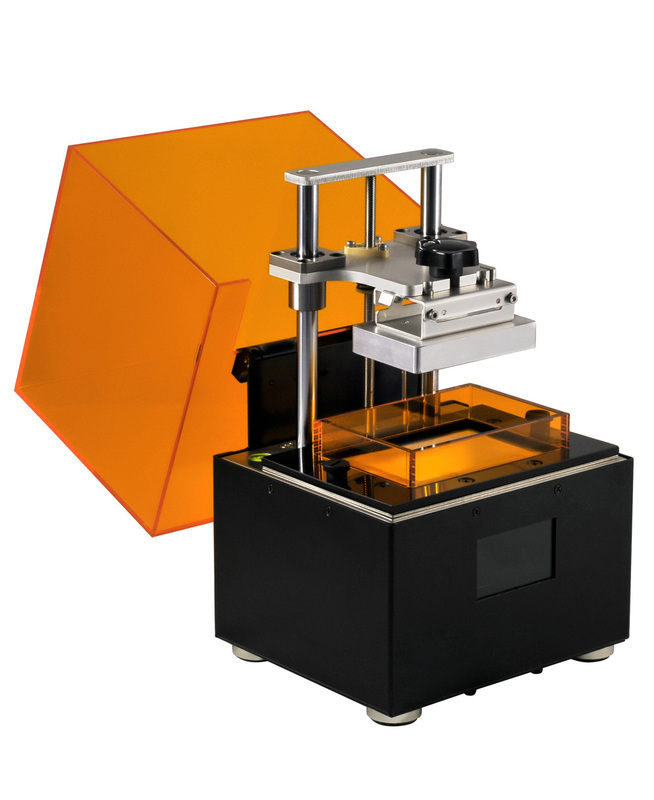 Features such as a precision lead-screw with a professional-grade anti-backlash nut, high quality bearing system, quartz optical path, and a solid 15mm CNC’d aluminum build platform ensure print quality and ease of use. Solus includes a license for our new Contour 3d printing software ($99 value). Developed from the ground up for the Solus 3d printer. 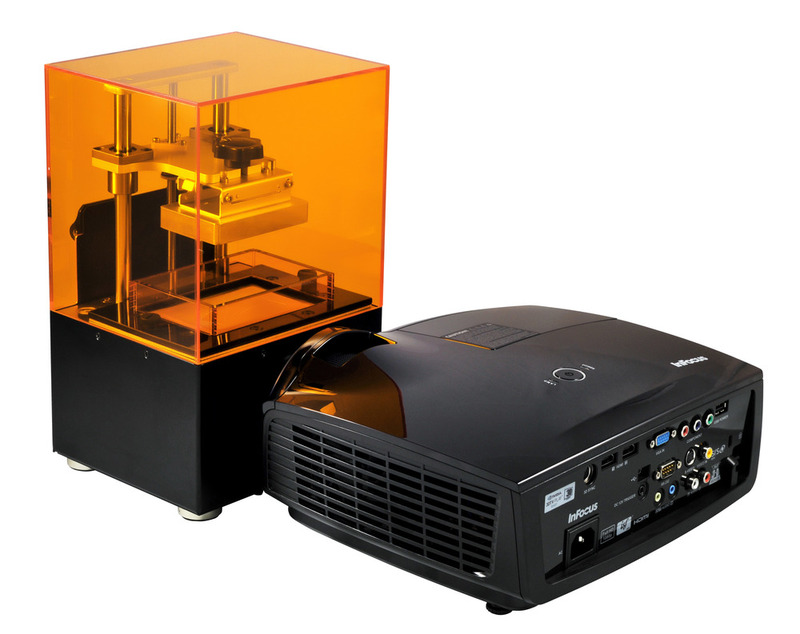 Solus works in conjunction with compatible 1080P DLP Projectors to print with an XY resolution as fine as 25 microns with a 48x27x80mm build area or at 41 micron resolution with a larger 80x45x80mm build area. Dedicated PC running Windows 8 or higher, Intel i3 or higher, 4gb of Ram or higher, Intel HD Graphics 4000 or higher (recommended Intel Graphics 5500) or Nvidia GeForce Graphics.